Mature inspector using digital tablet. Attractive businessman making a note on tablet device. Modern application of technologies. 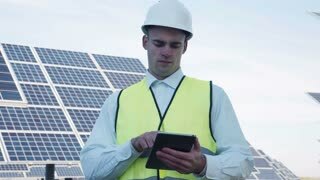 Engineer in hard hat is using a tablet computer in a industry factory.